Kearney School District (KSD) has announced the new head coaches for Bulldog cheerleading and the Golden Girls dance team. Anna Hewitt will be the head coach for cheer, and Brittini Starzl will lead the dance team. Hewitt comes to the district with extensive background in cheer personally and professionally. She is a 2005 Kearney School District alumni, and cheered for KHS from 2002-2005. She continued her cheer career at Park University from 2005-2009. She began her coaching career at Park Hill as the Junior Varsity Cheer Coach in 2009. After accepting a teaching position in 2014 with the Raymore-Peculiar School District, she also signed on as coach for their cheer squad. 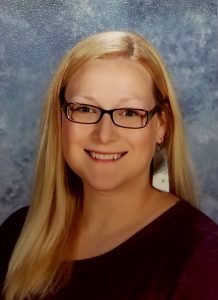 She is currently the Family and Consumer Sciences instructor with Smithville School District. Hewitt will start her new role as the KHS cheer coach at the beginning of the 2018-2019 school year. She replaces Lauren Keller who recently resigned from the position after being a part of the coaching staff for four years. 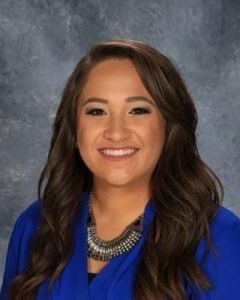 Starzl began her teaching career in 2016 after accepting a teaching position with KHS as the Spanish instructor. She remains in that position and also serves as the KHS Student Council sponsor. Starzl will start her new role as the KHS dance team coach at the beginning of the 2018-2019 school year. She replaces Rachel Cerra who recently resigned from the position after being a part of the coaching staff for 2 years.